Nature’s rhythms are changing. We can feel it in the air, the sun, the fresh wind and melting winter snow. Our rhythms are changing, too, and we are anxious to build our gardens. While Tahoe’s climate can be harsh, with long winters, short summers and massive fluctuations in temperatures, these extremes also benefit our gardens. Vegetables, fruits and herbs adapt to harsh climates by developing a shorter, stronger cellular structure. These cells, called adaptogens, help the plant adapt to stressful situations and develop more flavor and antioxidants. While certain herbs are specifically known to have higher adaptogenic abilities than others, all plants develop these cells at varying levels. Many types of teas that have important adaptogenic qualities are grown in some of the most challenging climates in the world, like the Himalayas. Because of the harsh mountain conditions they endure, they develop rich flavors and health benefits. Other important herbs are grown in Mongolia, India and Pakistan. Non-GMO, heirloom varieties of vegetables and fruits grown organically are the most valuable to our health. In spite of what you may have heard, there are many short-season varieties. They are more nutritionally dense and contain higher adaptogenic levels. This organic nutrition contains vibrational energy that is measured in megahertz, or electrical impulses. It’s nature’s communication system. Everything on earth communicates though vibrations and absorbs the nutrition that comes from higher levels of vibration—bees, hummingbirds, flowers, trees and, yes, even humans, although we’re not overtly aware. The higher the vibrational quality of a fruit, vegetable or herb, the healthier it is to eat. For example, broccoli vibrates at about 50 megahertz. Kale, a superfood, vibrates at about 90 megahertz, as do blueberries—all perfect for our cold mountain region. The harsher the climate, the stronger the vibrations will be. On a similar note, plants that have been genetically modified, such as much of the corn sold in grocery stores, actually have negative levels of megahertz. They provide no nourishment. Heirloom varieties, on the other hand, develop rich flavors and are extremely hardy. They’ll continue to grow and produce through all types of weather. In our mountain climate, we can grow tomatoes, potatoes and all the lettuce, spinach and kale you could possibly want. Even cantaloupe. 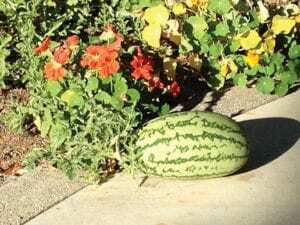 If you plant your tomatoes and melons now, with some protection, or near a warm wall or stone, they will ripen more easily and develop wonderful flavor. Planted in the shade, your lettuce will be sweet and flavorful all summer. Blueberries are perfect under your pines for the excellent acidic soil. The biggest harvests happen in our wonderful Indian summer period of early fall. Perennial herbs, or those that self-sow, are perfect for challenging climates. Last winter I discovered the sweetest-flavored Italian parsley that was peeping up through the snow. The cold temperature developed the flavor while the plants were protected by a big warm stone. Observing how plants grow in nature will also give you clues as to the best way to design your own garden and maximize your health from what you harvest. Without man’s interference, nature always maintains a perfect balance. Forests and meadows have sustained themselves for thousands of years with that balance. Look closely at the forests and meadows. Each plant variety has its own beneficial variety of other plants—a polyculture. They all work in harmony to regenerate the soil, provide food for each other or attract pollinators. When you mimic nature, you’ll naturally avoid pests and diseases in your garden. Wander through a favorite garden and notice how the plants grow. 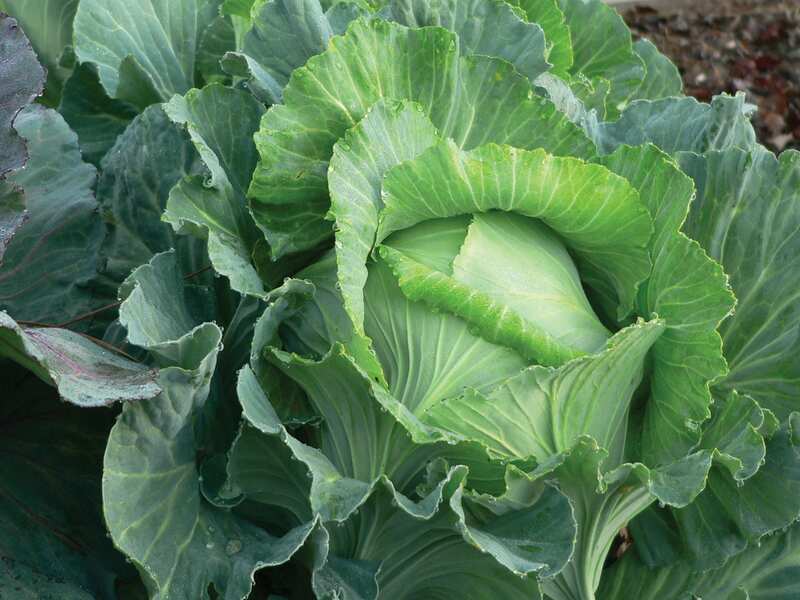 Plants grown in bright sun and harsh winds have short, thick stocks, which are better to support the plants and the fruits or vegetables they produce. These plants also have a wonderful, rich, warm flavor. Plants grown on the east or north side in shady, protected areas are usually tall with lanky stems. Their cellular structure is long and thin, and they often need supports to hold up the stems. Their fruits and vegetables can be more watery and less flavorful. Sometimes, you’ll find a little treasure that has been protected by an overhanging branch or a big boulder. This plant will also have developed adaptogens due to the challenging mountain climate, but the flavor will be more subtle. For the most benefits, plant your vegetables among the herbs, sunflowers and wild mustard; scatter meadow seeds under your fruit trees and near your berries to attract pollinators, and to continuously feed the soil with nitrogen, proteins and minerals. The soil, and the organic matter in the soil, is what feeds your plants, and it soaks up the water. Water is the conduit for moving the nutrition from the soil into the plant. It’s not about how much water you get, but how much water goes into the soil, and is then available to the plants. As you mimic nature, you’ll begin to recognize that you are a part of this amazing ecosystem with what you are creating. You are a part of giving and receiving the vibrational energy that is inherent in nature, improving your body and nourishing your soul.